If you like this free game, try Hello Venice 2: New York Adventure. For generations, Louie's family has managed a restaurant in Paris. Then, tragedy strikes, and Louie inherits the restaurant. When an unusual rat helps Louie discover his family's secret recipe books, Louie realizes it is the miracle he needs. Free game features: 74 exciting match 3 levels; 20 delicious recipes to master; a fun, lighthearted tale. 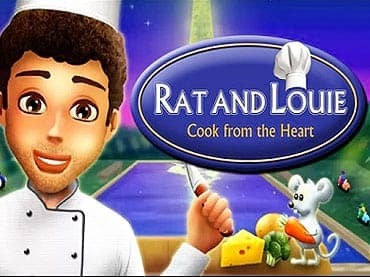 If you have questions about Rat and Louie: Cook from the Heart game, please contact us using this form.